The whole family can come together on St. Patrick's Day and make good luck charms with real four leaf clovers! The whole family can come together to create ceramic containers inspired by the Easter basket. We may also create a few items to put inside! Open to families: parents/children/grandparents, etc. 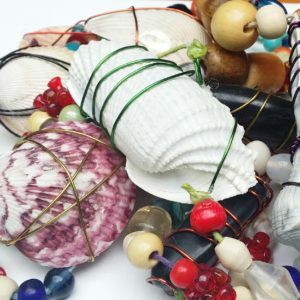 What Mom doesn't love a gift from their child that is handmade especially for them? The whole family can come together to each create a jewelry piece with the their name or initials that a mother would be proud to wear! Leisure will be the theme of this Father's Day workshop! The whole family can come together to each create a couple items that dad can use to chill out and relax! Open to families: parents/children/grandparents, etc. Kid's love the paint pour method! They will all walk away with a successful Art Piece using the 4th of July as our theme. In this workshop, the ancient basketry technique of twining will be introduced. Participants will begin to create a unique sculptural twined form using waxed linen and spring twine. In conjunction with this, we will engage in a discussion on conceptual aspects of contemporary fiber structures. Students need to bring sharp scissors and a large towel. Coddington has a solo exhibition, Made and Found, on view at the Art Center, Jan 25 - March 1, 2019. 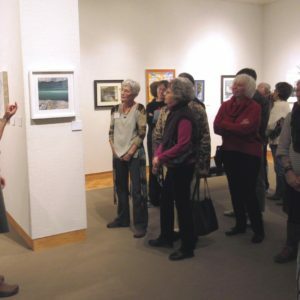 Coddington is a professor of art at Eastern Illinois University. 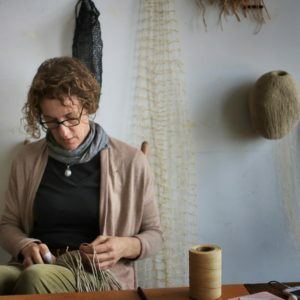 Visiting artist Kelsey Wiskirchen will teach the same Itajime Shibori dye process used in her upcoming Quincy Art Center exhibition, "The Walls Remember." 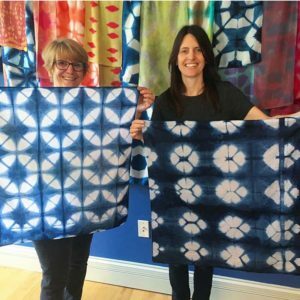 You will create a vibrantly colorful, geometric patterned silk scarf using fiber-reactive dyes that become permanent through a steam-setting process. This will be a great way to meet the artist and create a unique wearable artwork of your own! No outside alcoholic beverages are permitted at the Art Center.